This month is Pancreatic Cancer Awareness month and I am taking part in a challenge on Instagram to raise awareness for this awful type of Cancer. Jayne from Starryeyed83 and Debbie from Ladyandthe_stamp are the organisers of this challenge and each week there is a new prompt. There are no rules other than to use purple! The first prompt for the 1st, which I know was yesterday, was Hearts and Love. 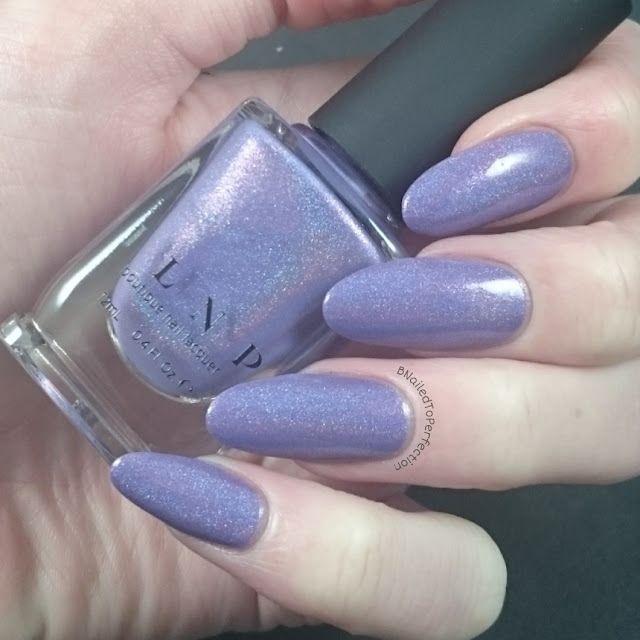 For my base coat I used two coats of Charmingly Purple by ILNP which is gorgeous lilacy purple with a holographic finish. 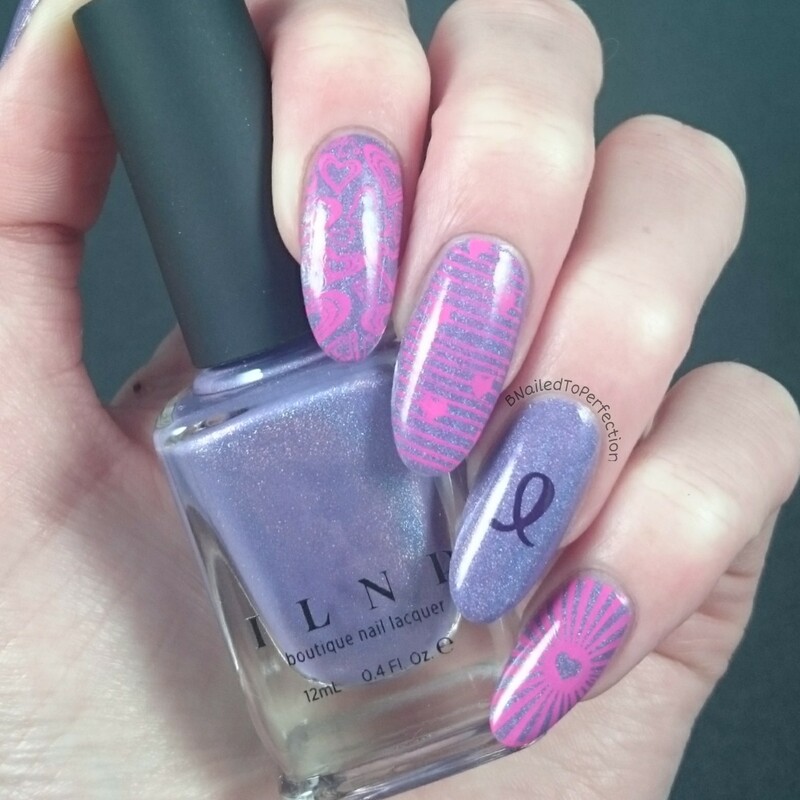 For the stamping I used quite a few different plates, all from Uber Chic. Plates 1 and 3 from collection 1 and plate 1 from collection 3. 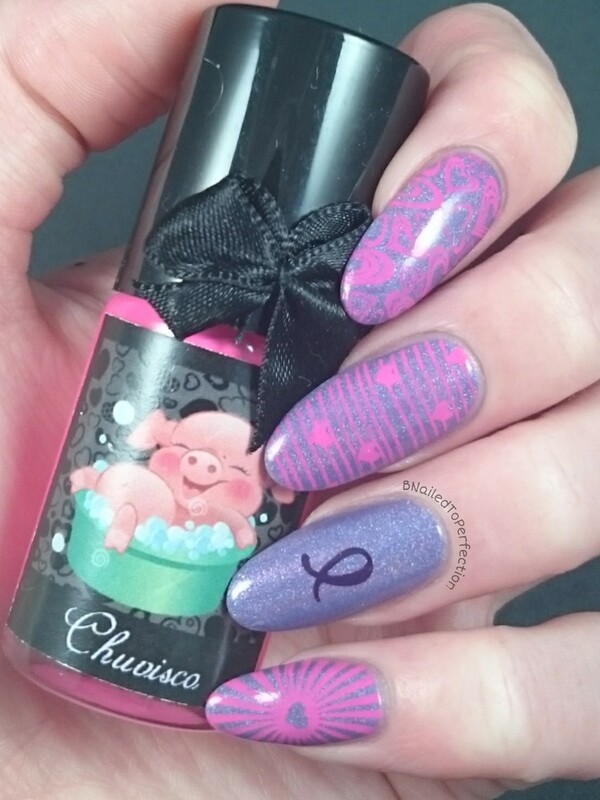 I used a mixture of heart designs and I used Chuvisco by Esmaltes Da Kelly. 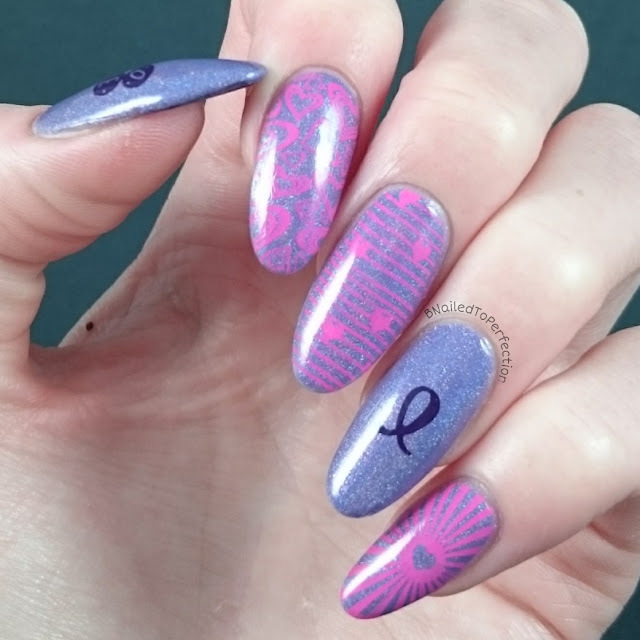 I added the cancer ribbon too which I stamped using Dashica in Purple. Then I sealed it all in with my favourite top coat. The sun decided to show itself after I wore it this mani for a few days. 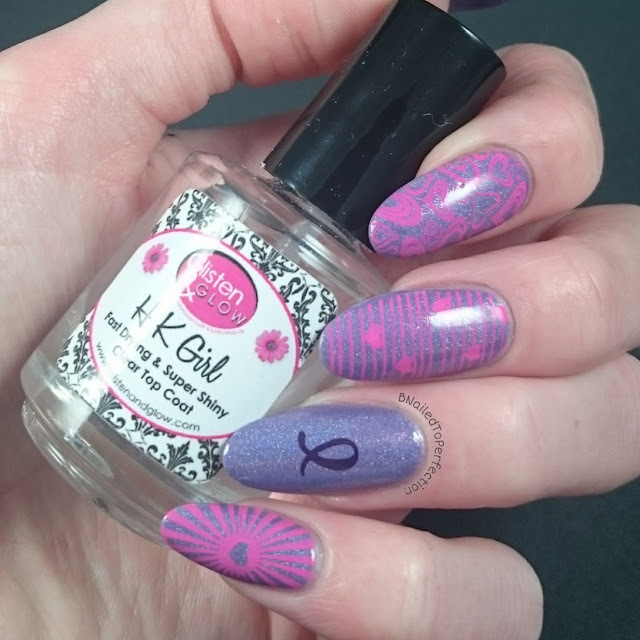 You can also see the pink stamping better in normal light. So what do you think of my design? 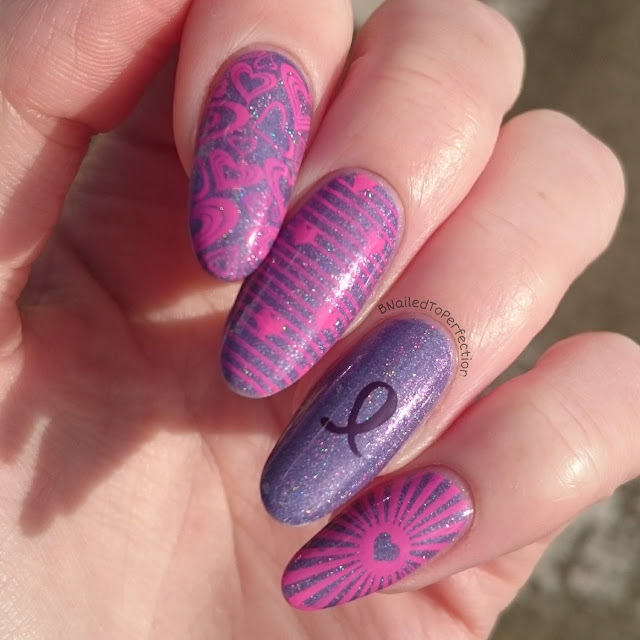 Why don’t you come join us on Instagram and help spread the word for Pancreatic Cancer Awareness.